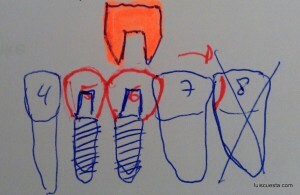 This post is the continuation of this last year’s post. 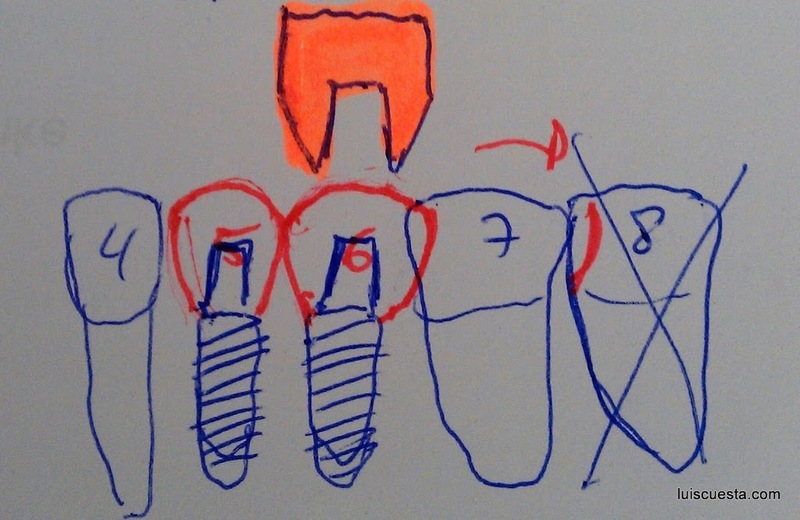 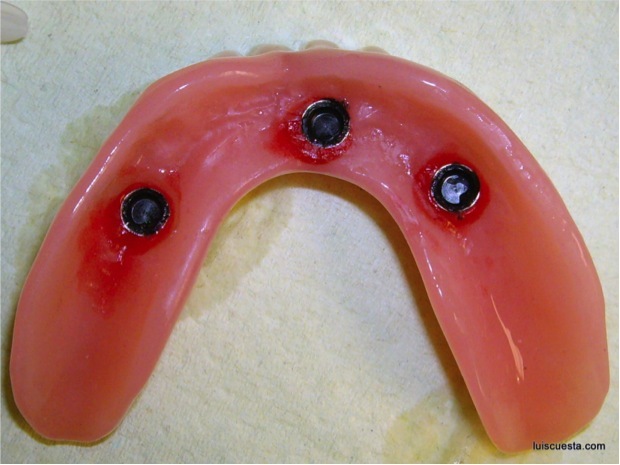 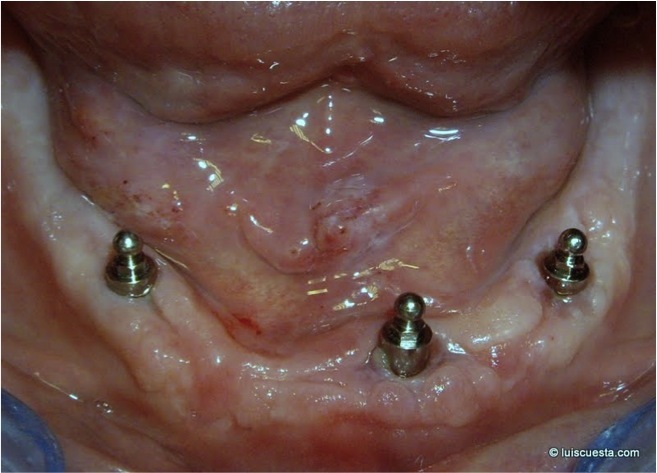 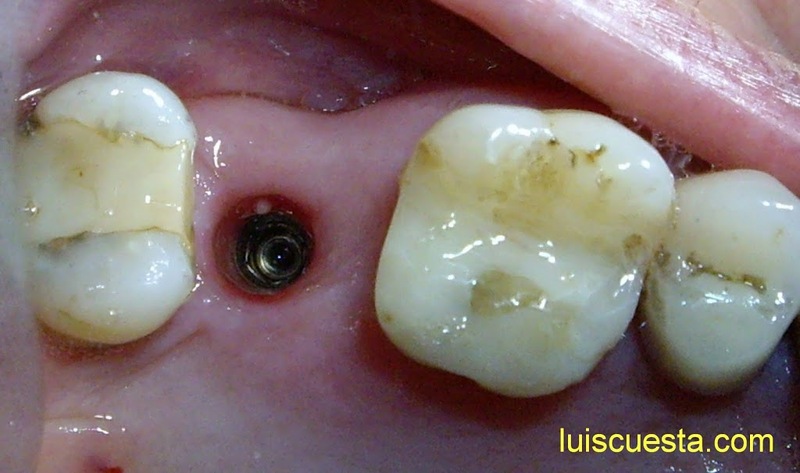 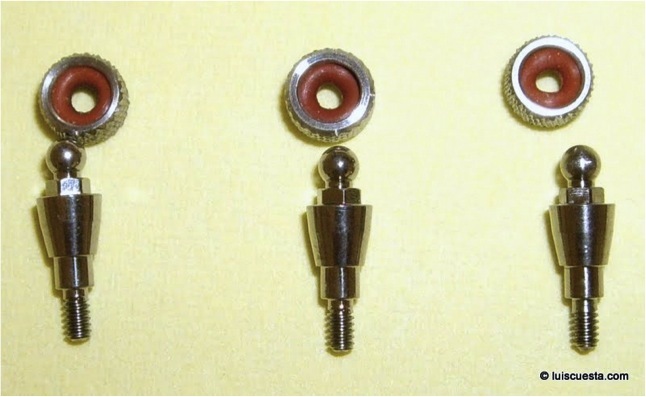 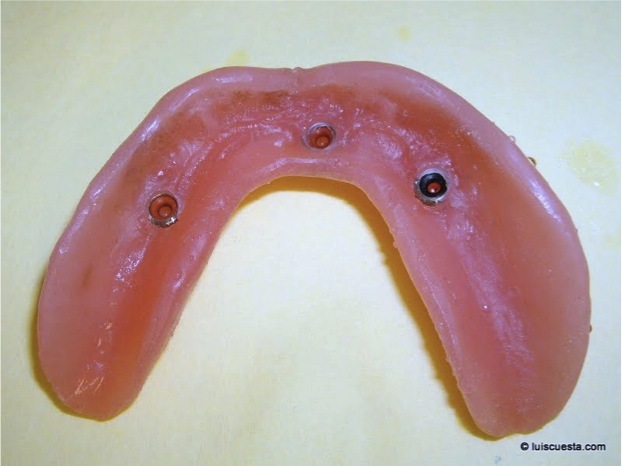 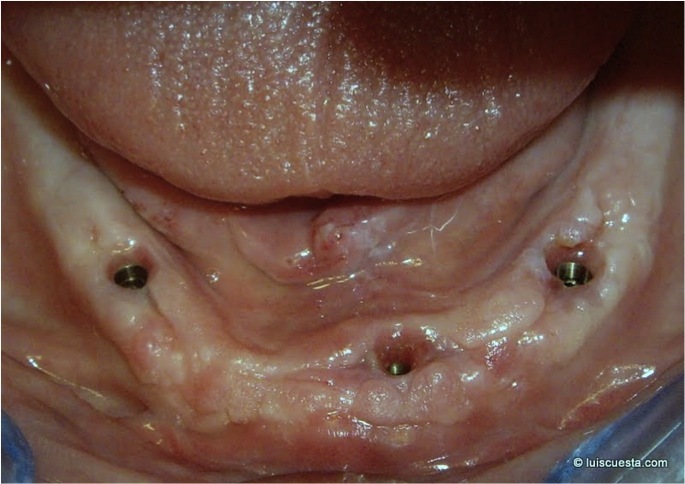 It shows how the ridge bone grows and remodels itself around the thin neck threads of an internal hexagon ICX implant with cone-connection. 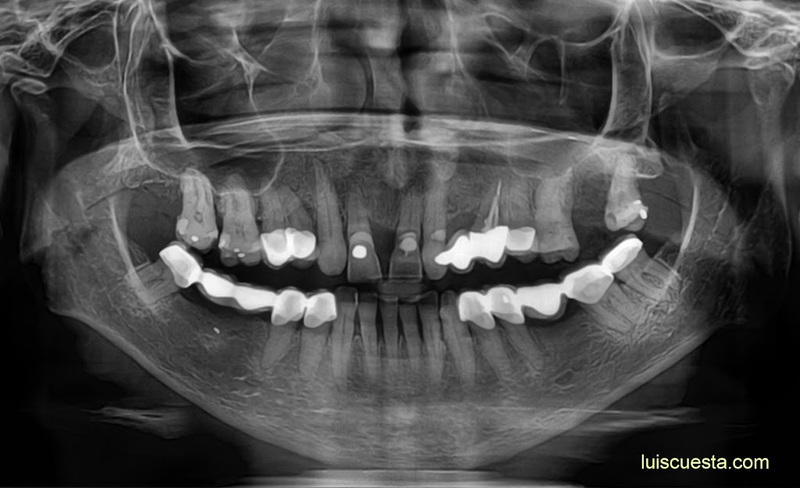 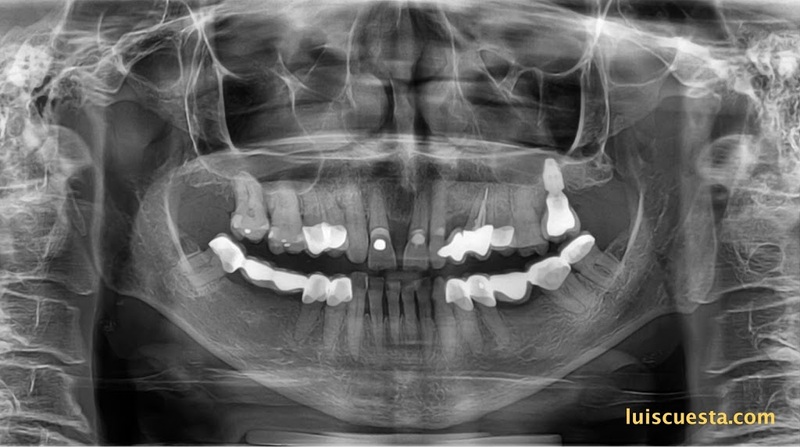 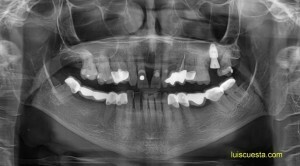 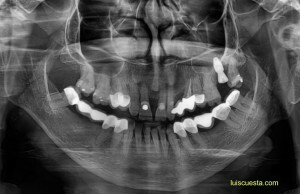 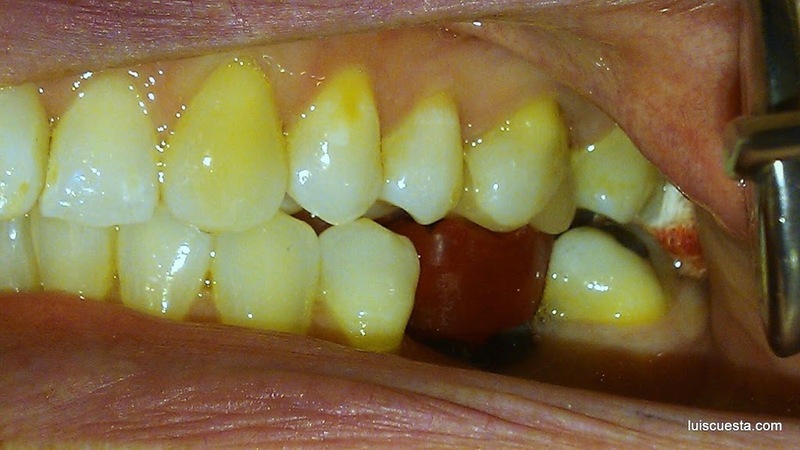 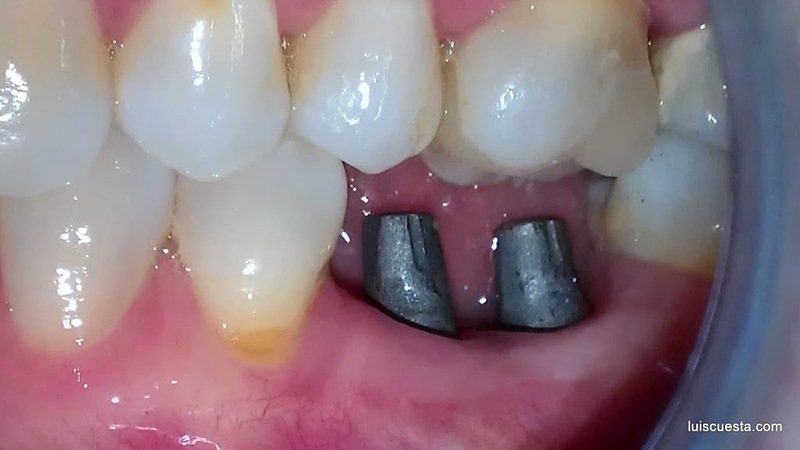 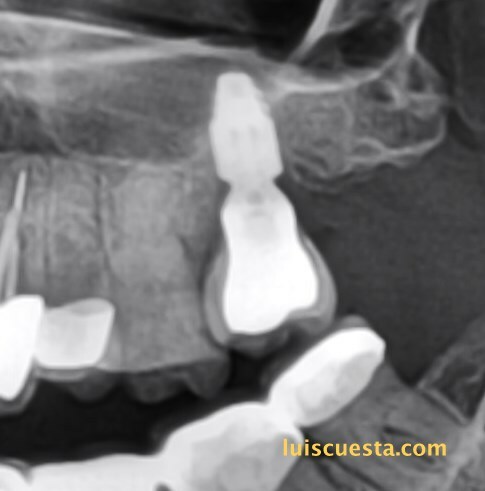 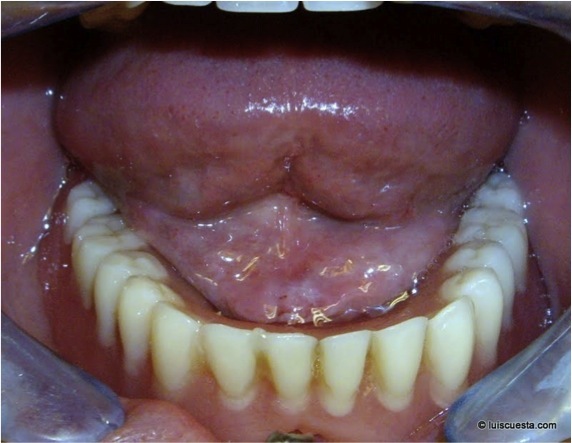 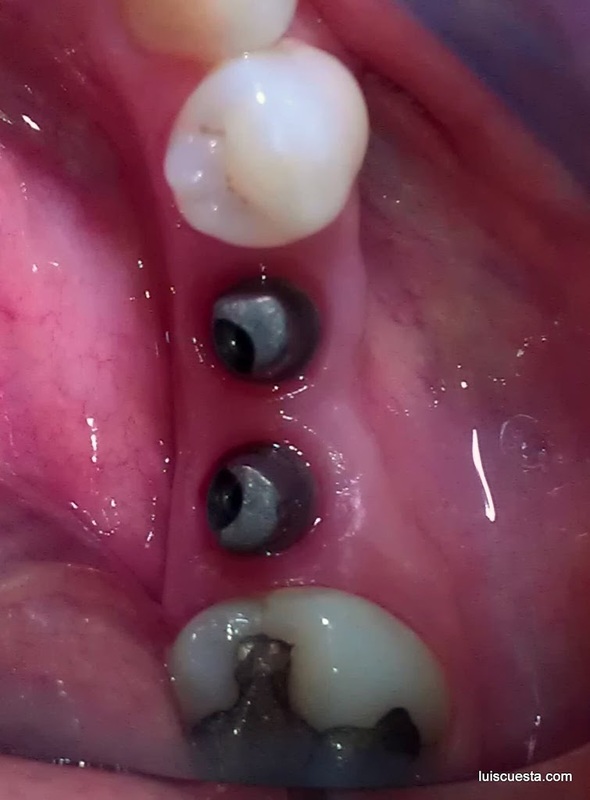 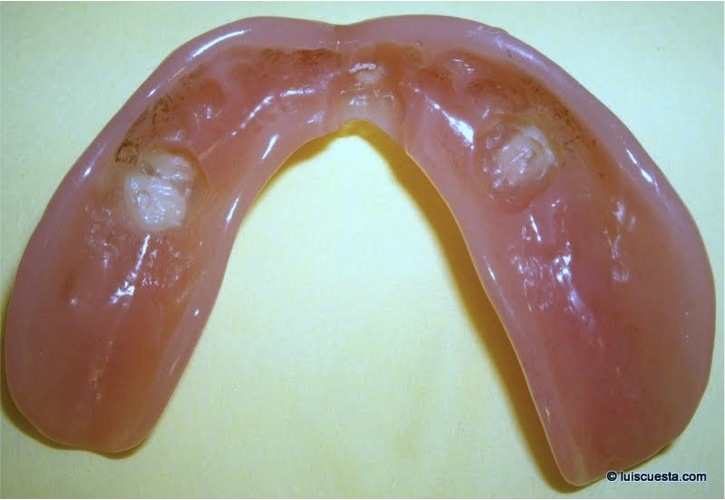 The upper second molar was extracted and the implant was placed three months later with a simultaneous internal sinus lift under low primary stability conditions. 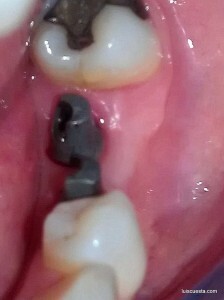 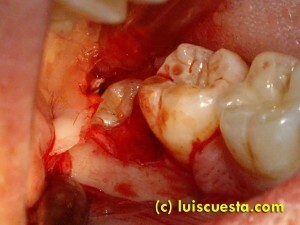 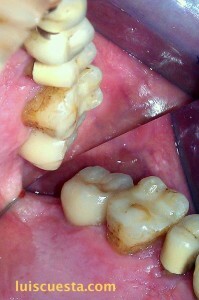 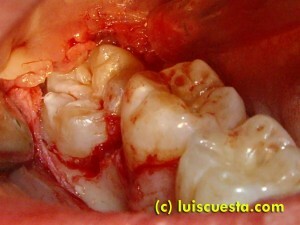 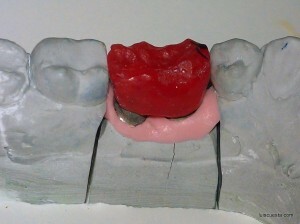 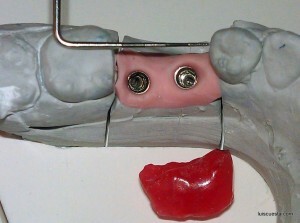 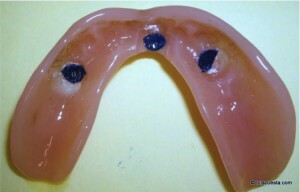 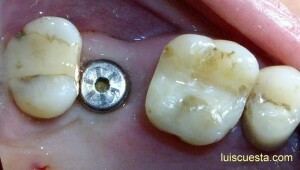 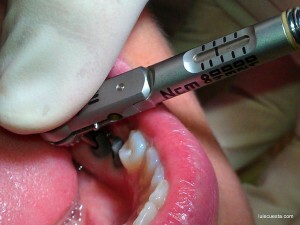 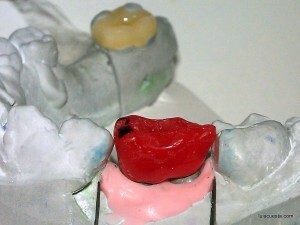 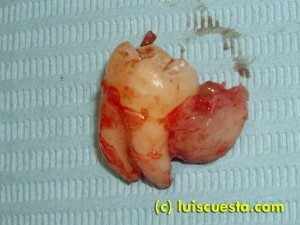 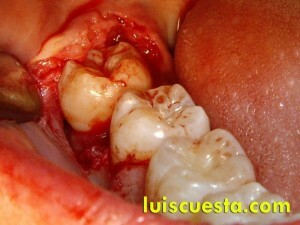 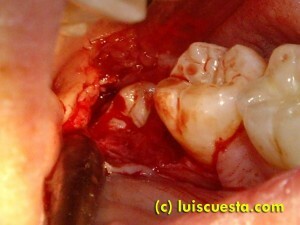 Finally, the third molar was extracted at the moment of taking the impressions for the implant crown. 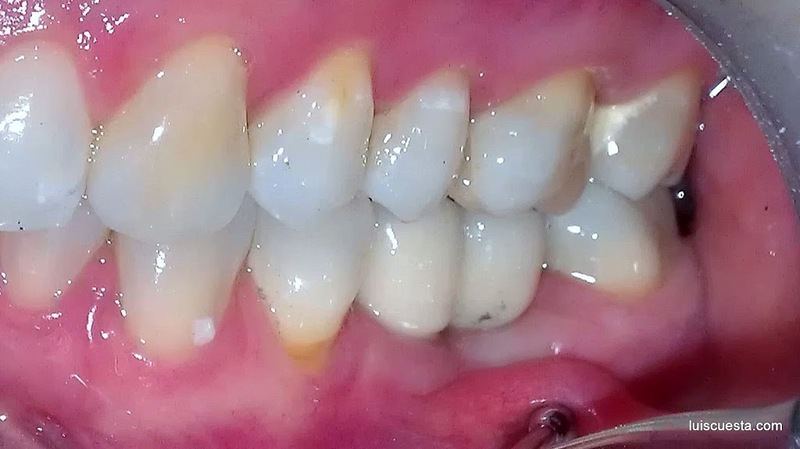 Once again, you can see the beginning of this case on this post. 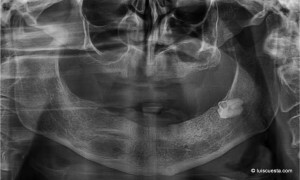 The case was indeed very favorable regarding the amount and quality of the soft tissue, although the circumstances were right the opposite regarding the bone. 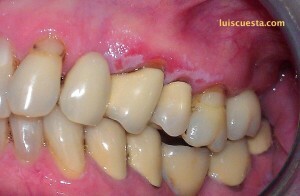 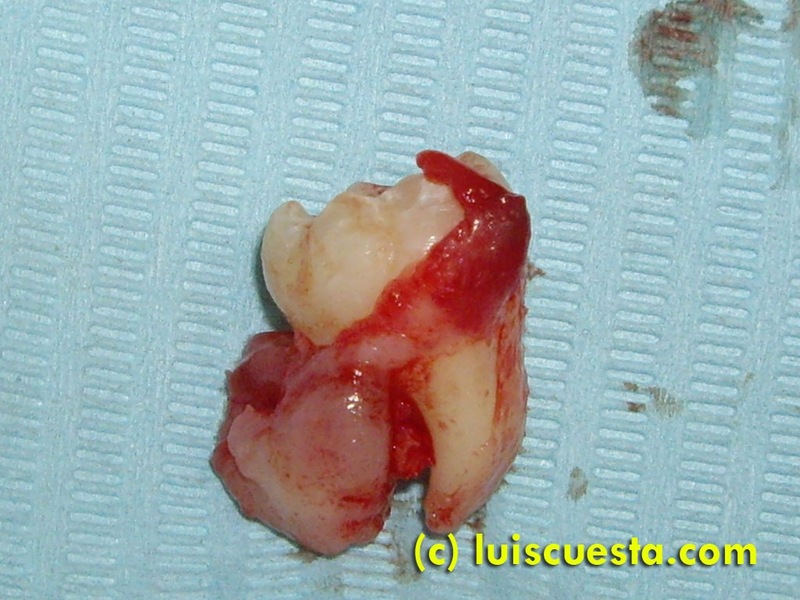 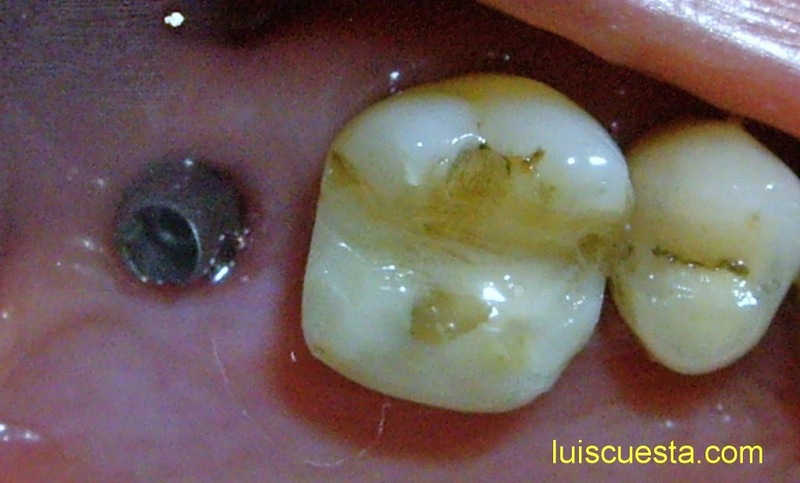 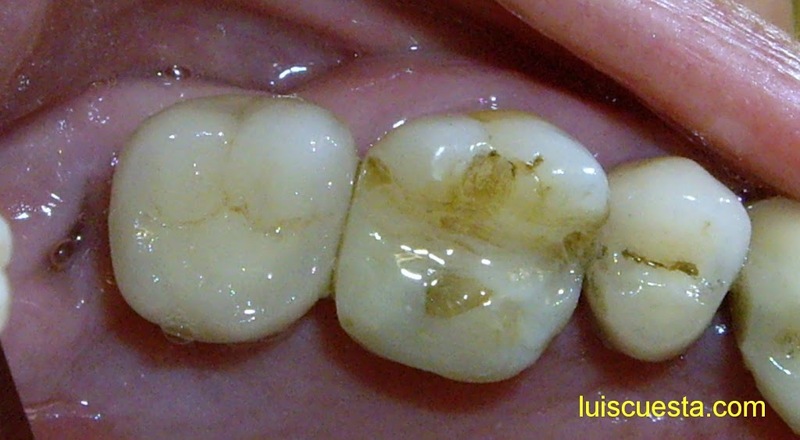 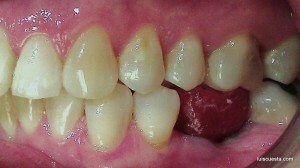 Relatively good width, but scarce height and density, three months after the extraction. 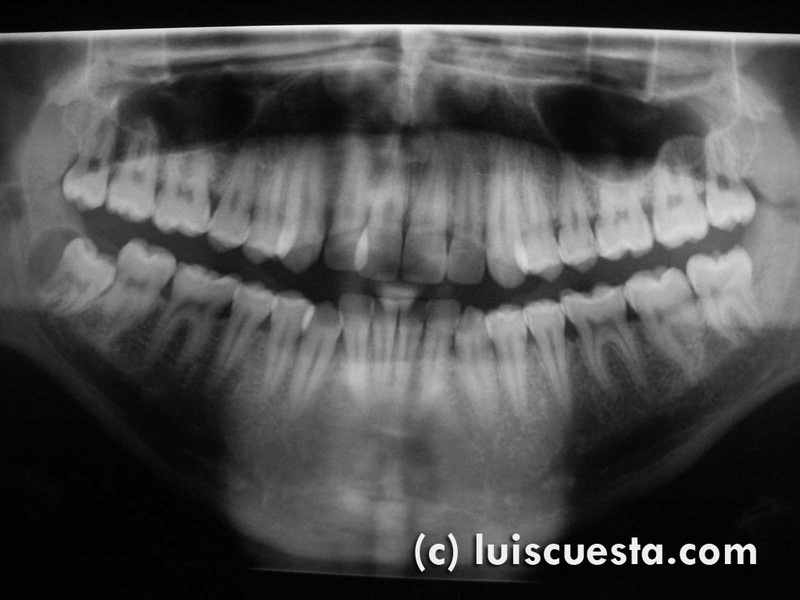 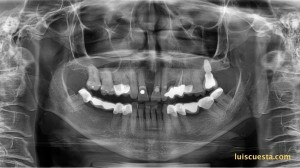 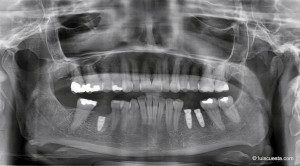 This X-ray was taken on October 9, 2012, a year after setting the crown and 14 months after placing the ICX implant. 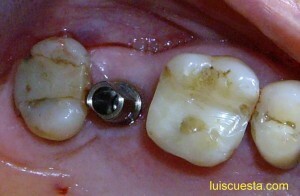 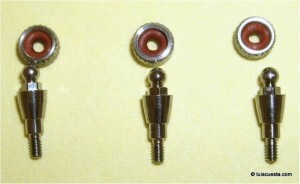 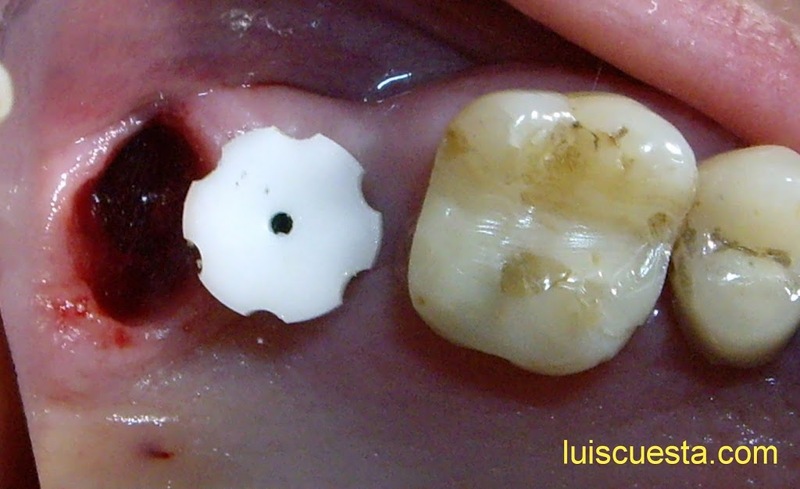 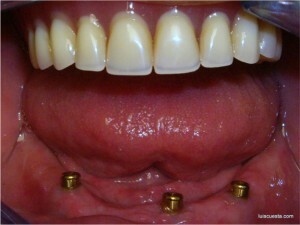 It shows how the crestal bone has remodeled itself, growing vertically around the neck threads of the implant. The soft tissue is really healthy after one year, although the hygienic conditions surrounding the implant are certainly not the best. 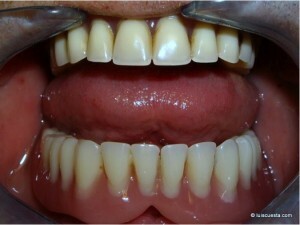 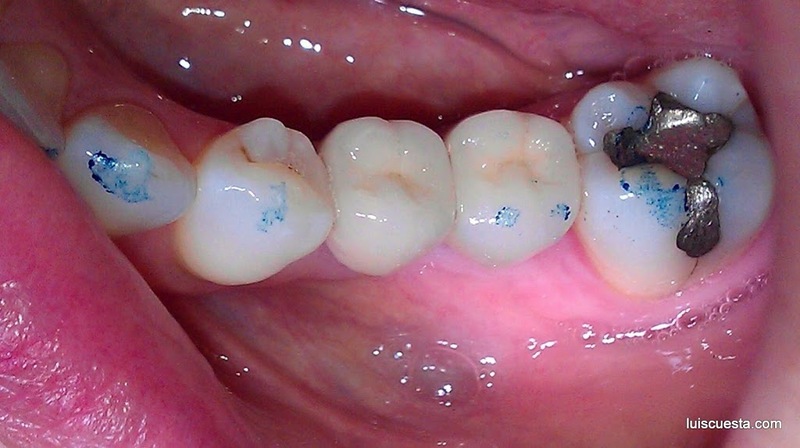 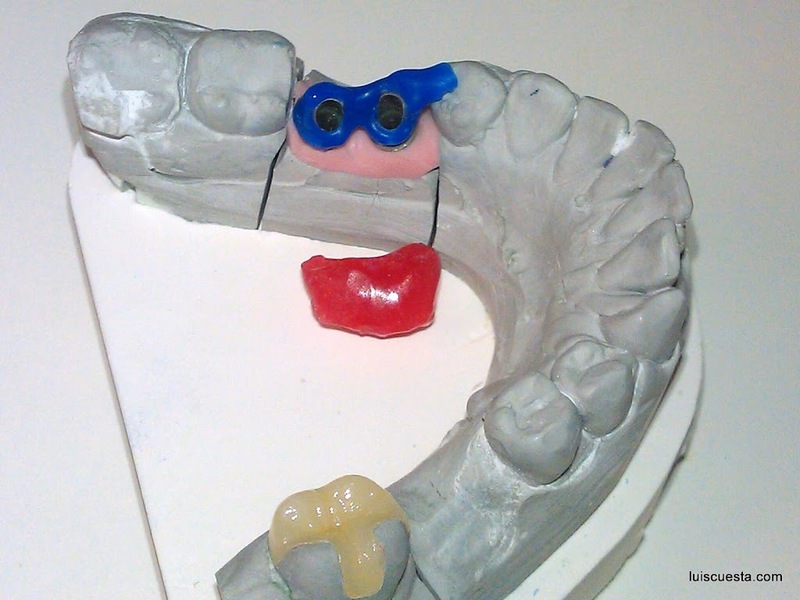 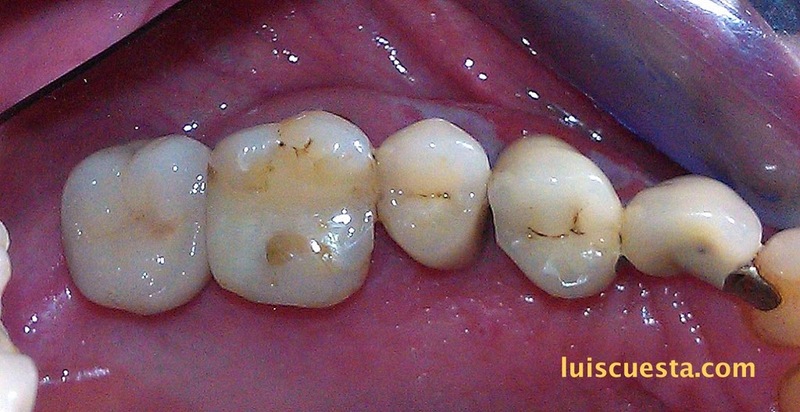 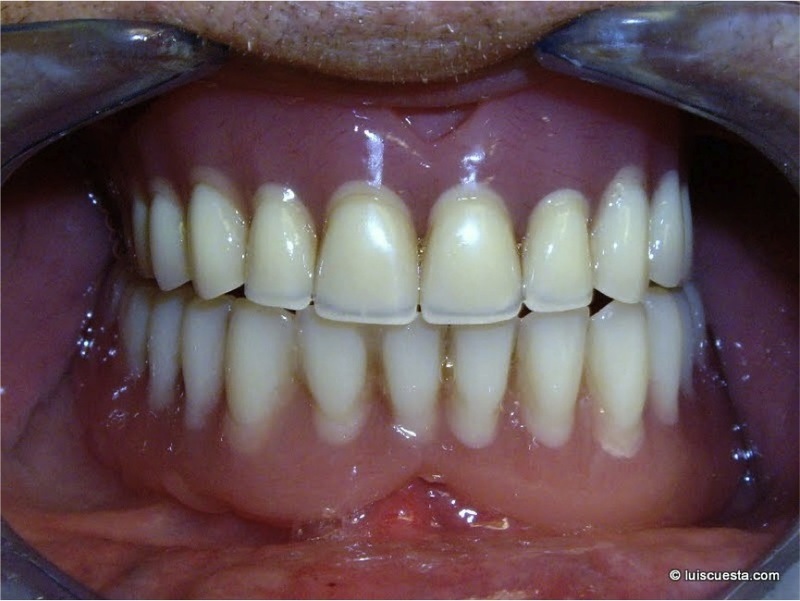 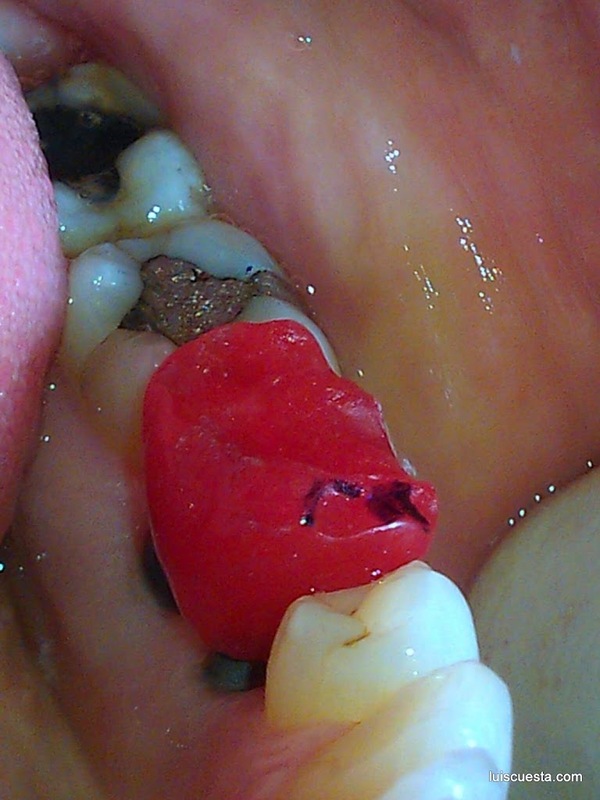 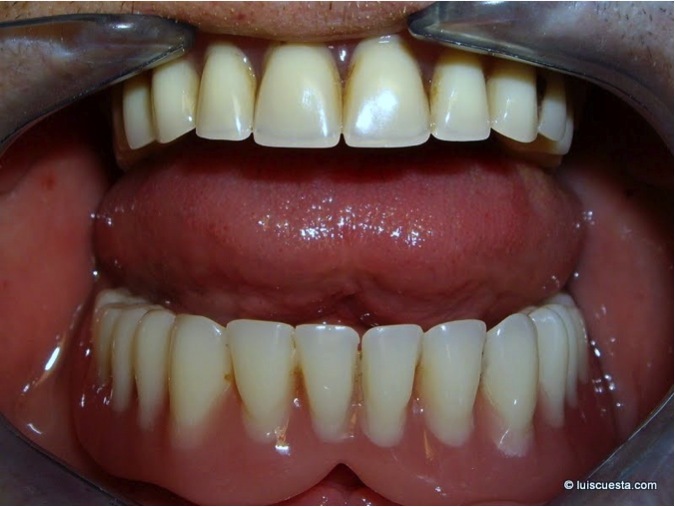 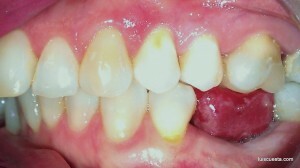 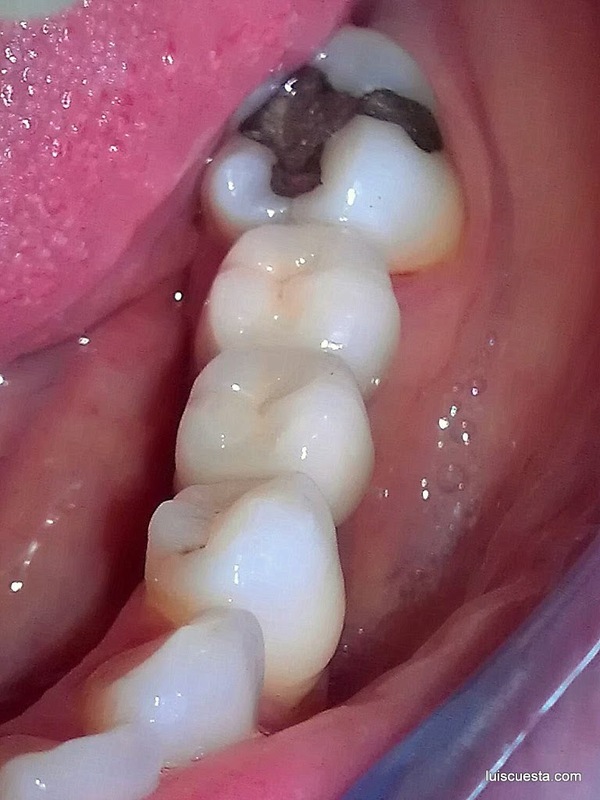 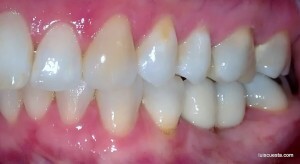 This is a simple case of an included, not erupted, lower third molar extraction. 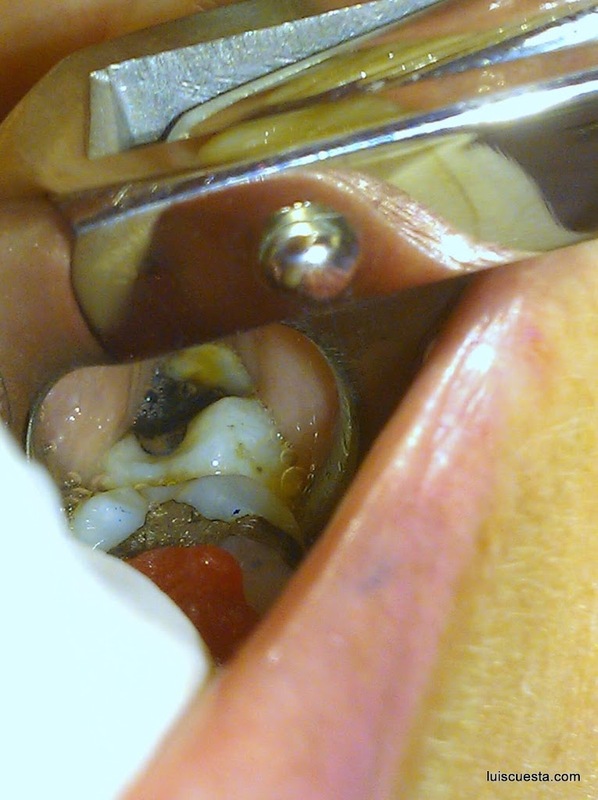 Incision is done down the line and around the preceding molar, as well as the vertical discharge in the middle of the vestibular side. 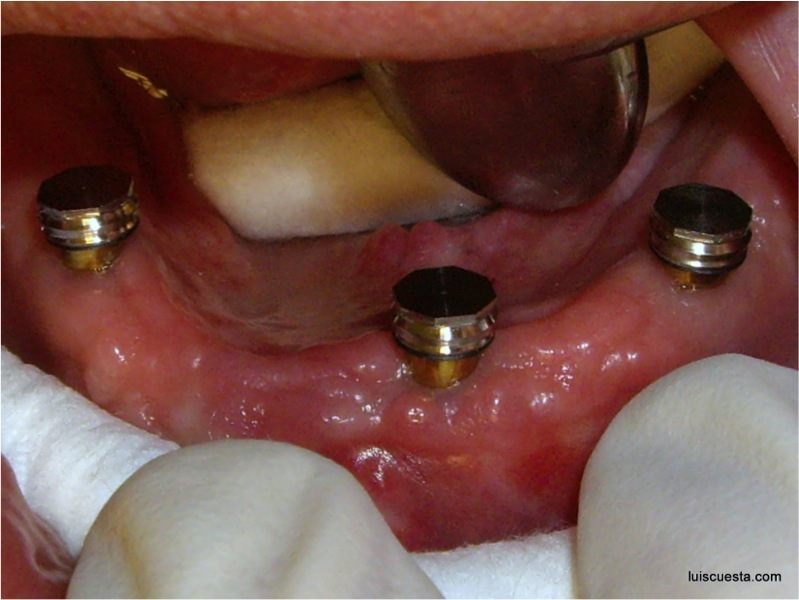 A round drill is used with physiologic serum irrigation to remove the covering vestibular bone until the molar can be pulled off. 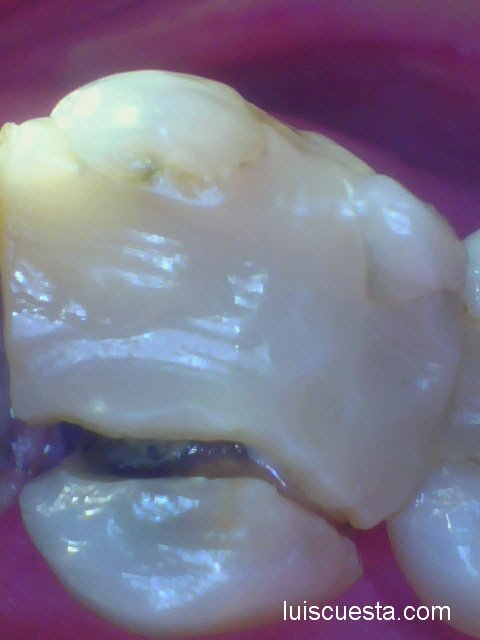 Luckily the molar comes out intact together with the surrounding inflammatory process. 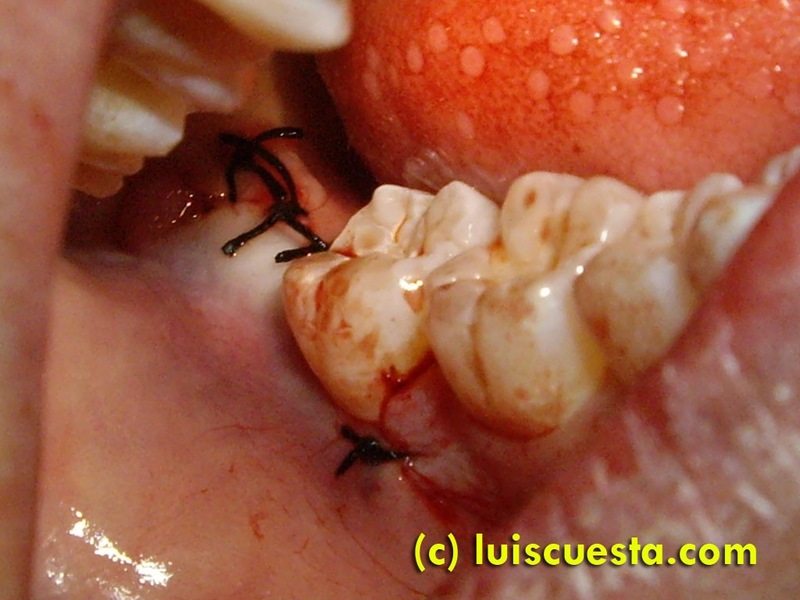 Stitches are used to place the flap back in place.